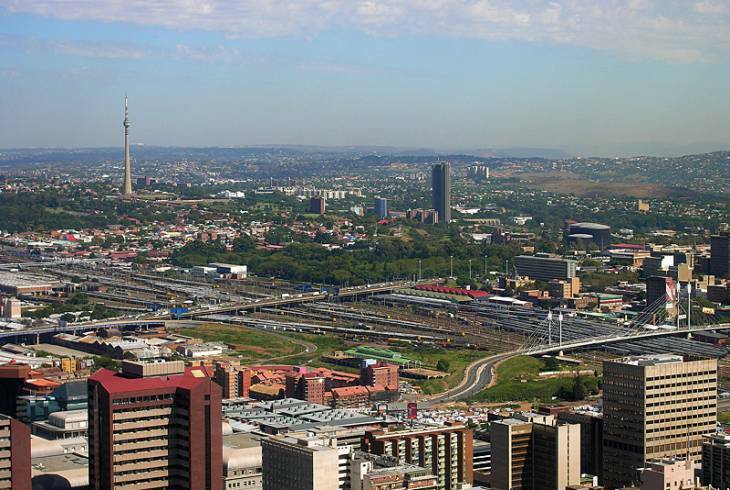 Johannesburg Municipality is the most powerful commercial centre on the African continent. It is an African city that works. Johannesburg is a city where there are multi-lane highways, conference centers, golf courses and more than three million people. Johannesburg is the provincial capital of Gauteng, which is the most densely populated province of South Africa. The Johannesburg Municipality is made up of eleven regions: Midrand, Sandton, Northcliff, Roodepoort, Soweto, Alexandra, the Inner City, Alberton, Diepkloof and Ennerdale. Johannesburg began as a tent town, Ferreira's Camp, in 1886, and was set up by Colonel Ignatius Ferreira. Gold was discovered in that year, and the town moved from tent town to wood and iron shacks then to bricks and mortar within a decade or two. Today Johannesburg Municipality is a vibrant moving city based on the earnings of that gold. Johannesburg has a long and colourful history and houses many museums. There are said to be more than 6 million trees in Johannesburg - satellite pictures show that the city looks more like a rain forest than a city. Johannesburg Municipality overview. Johannesburg Municipality Accommodation and Information.